The information on this page has been obtained from many sources. The idea is to gather any and all information on each individual member of 214 Squadron and record it here. If you served with the squadron, or know someone who was with the squadron, please contact us and help build this memorial / tribute to the squadron. Please note that the entries for personnel on this page are sorted alphabetically. SEE CREWS AND LOSSES for Wellington Mark I N2993 BU-? Buried in HENGOED (ST. BARNABAS) CHURCHYARD. Reference : N.E. of church. 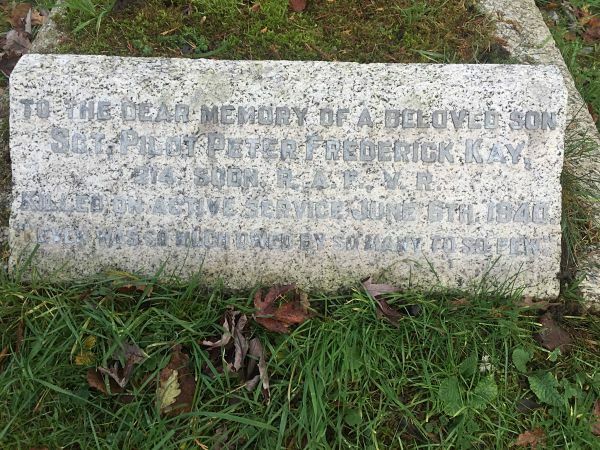 Son of Frederick and Mabel Hilda Kay, of Knowle, Bristol. 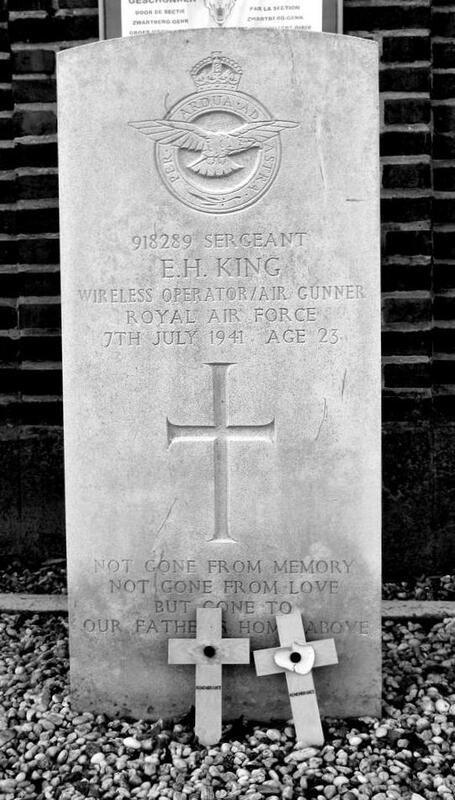 CWGC shows the death date to be 8 June 1940. 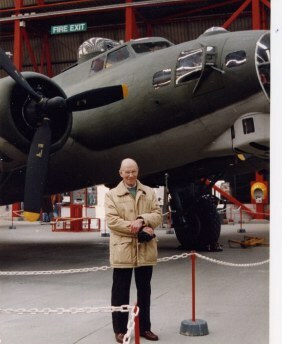 Robert (Bob) Kearns spent some time doing 2 tours of operations with the squadron as a crew member on Wellingtons and Stirlings and later went on to carry out training duties. NOTE: Jeremy has an original squadron badge and his fathers medals / ribbons along with a very old photo of a Stirling bomber in flight which has been taken from another Stirling in the formation, presumably Roberts Stirling. The photo kindly submitted by Jeremy can be seen in the aircraft section. Robert died on 14 October 1976 aged 54 and is buried in Hanworth. Captured in Bordeaux on 29 July 1943. and held at Fresnes prison in Paris before being sent to POW camps. Buried in REICHSWALD FOREST WAR CEMETERY. Reference : 22. A. 7. Ward of Mr. E. V. Martin, of Westminster, London. Ken (John) Kemmett, the second child of a family of five, was born and brought up in Gloucester. Leaving school at the age of 14, he started work in the motor industry where his love of all things mechanical was put to good use. 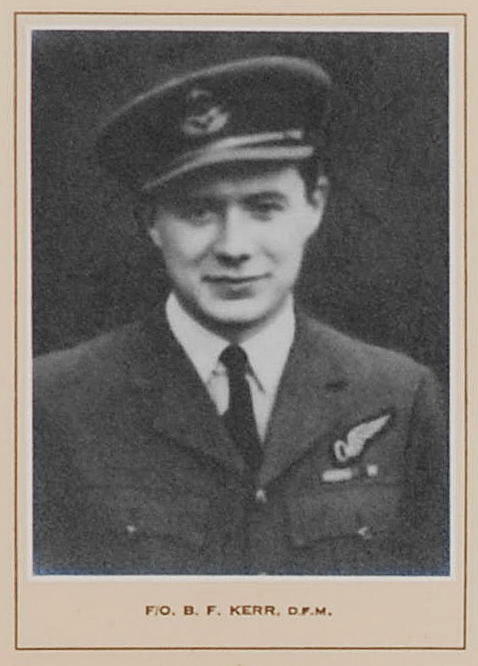 He volunteered for the RAF in 1941 and graduated as pilot from Flying Training School in Canada in 1943. He married, had two daughters and later moved to Plymouth where he continued working in the motor industry and then opened his own model-making shop. He later became a tutor in Plymouth Polytechnic before retiring early due to ill health. 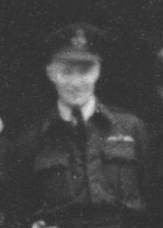 Flt/Lt Murray Peden has told the website that he gave Ken Kemmett his initial dual on Fortresses (BU-V) on March 24th 1945. Flt/Lt Ken Kemmett poses with Fortress in background similar to those which he would have piloted on operations. Bryan Kemmett, Ken's brother has been in contact with the site and has a copy of Ken's log book. Named on the following Memorial : RUNNYMEDE MEMORIAL Panel 155. Son of Idris Miles Kemp and Dorothy Kemp, of Scunthorpe, Lincolnshire. 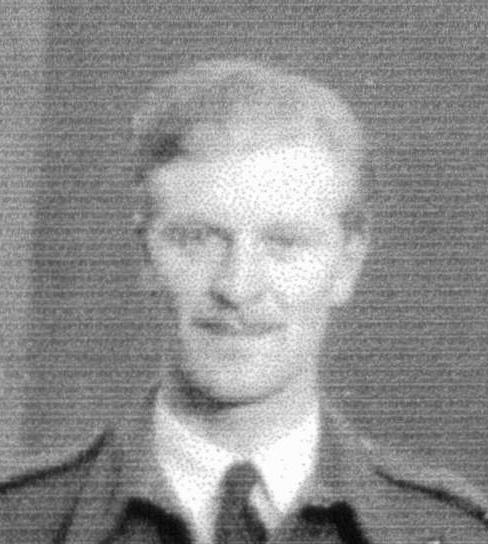 William served with 214 from December 1944. He did not speak much about his wartime experiences but did mention that he flew Flying Fortresses, as a waist gunner, with some American crew members and that part of their work entailed dropping "chaff" to confuse enemy radar. Sadly William died in 2004. 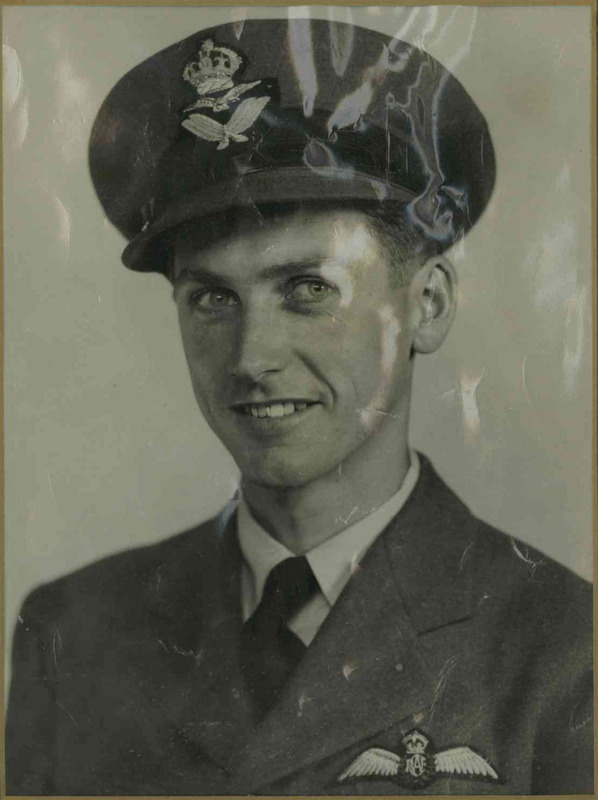 William enlisted in July 1940 at the age of 18 and trained as a Flight Mechanic (Engines) and posted to 1435 Squadron Malta. He retrained in 1943 as an air gunner and after service in the Middle East was posted to 214 on 13 December 1944. He did not speak much about his wartime experiences but did mention that he flew Flying Fortresses, as a waist gunner, with some American crew members and that part of their work entailed dropping "chaff" to confuse enemy radar. Sadly William died on 14 January 2004 aged 82. William is at the front on the right hand side. Can anyone name any of the other crew members? His son remembers William saying that he went on R & R and sadly his crew were killed on the next mission. Buried in HAVERHILL CEMETERY. Reference : Sec. U. Grave 131. 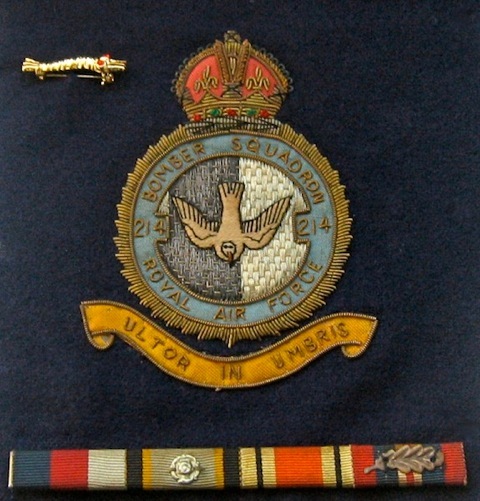 Fg/Off Kerr previously served with 166 Squadron. His DFM was was published on 19 October 1943. This crew seems to be listed consistently in this order in the ORB, although it doesn't give their individual crew functions. HOWEVER, the tenth crew member (possibly the jamming equipment Special Operator?) changed a bit over the first 5 ops. - then Sgt C Kerr (next 3 ops). It may be that this was how the crew settled down to be (ie with Kerr). Son of Charles Patrick and Mabel Annie Kerr, of Middle Brighton, Victoria, Australia. After his aircraft crashed into the North Sea his body was never found. Named on the following Memorial : RUNNYMEDE MEMORIAL Panel 87. Son of John and Elizabeth Kerry; husband of Dorothy Kerry, of Nottingham. Sgt Kerry enlisted on 12 September 1939. His civilian job had been a machinist and he started as a Flight Mechanic with the RAF. 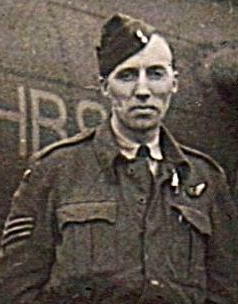 He spent a while with 22 Squadron and then attended several training deployments as an Air Gunner before joining 214 Squadron on 1 April 1942. 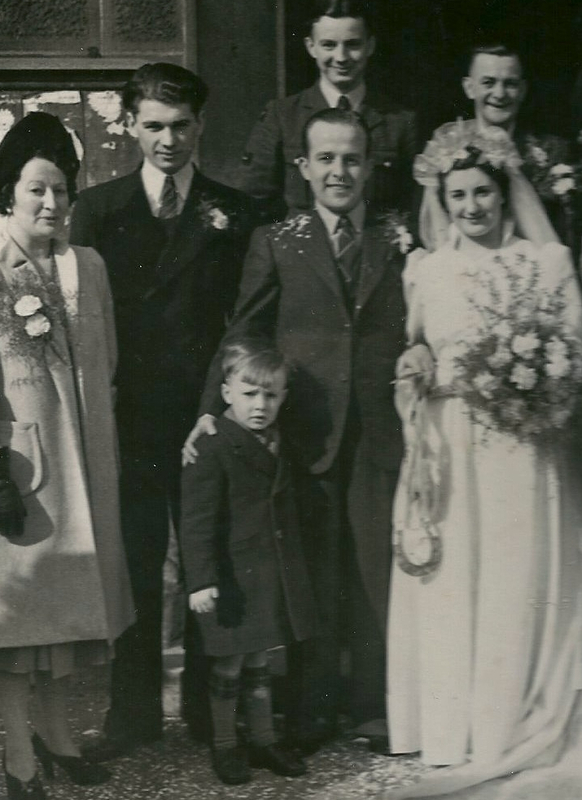 Sgt Kerry married Dorothy Barnett on 15 March 1941 and her address was recorded as 26 Osborne Street, Alfreton Road, Nottingham. John Kerry was also an air gunner, who died when his Stirling crashed on a training flight in January 1944 (not with 214 Squadron). Joseph Kerry was killed in action with the Royal Artillery in Italy in December 1944. Son of Mr. and Mrs. E. H. Kimber, of Peckham, London. Son of Ernest Edward and Caroline Alice Louise King, of Shepherd's Bush, London. Son of William Green King and Margaret King; husband of Georgina Swan King. Buried in BERLIN 1939-1945 WAR CEMETERY. Reference : Coll. grave 5. F. 24-29. Son of William and Ada Grace King, of Tufnell Park, London. Buried in DURNBACH WAR CEMETERY. Reference : 7. D. 7. He joined 214 Squadron on 1 November 1944 and then flew 25 ops between 7 December 1944 and 20 March 1945 - the last one being in support of a raid on a Synthetic-Oil Plant at Bohlen (near Leipzig) from which he and his crew failed to return. 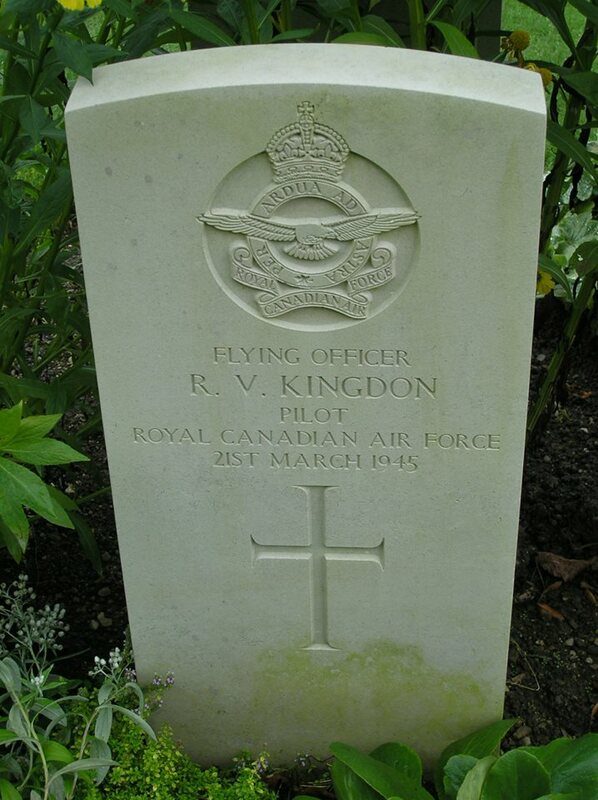 FS Kingsland is recorded as a regular crewmember with Flt/Lt Wyver and Fg/Off Keith McCall. His role is also listed as Wireless operator. He came from Bournemouth and was wounded on 14 February 1945. Buried in BERGEN-OP-ZOOM WAR CEMETERY. Reference : Coll. grave 32. C. 2. Son of Norman Kirkcaldie and of Marjorie Grace Kirkcaldie (nee Kebbell), of Ohau, Wellington, New Zealand. Son of Percy Douglas and Vera Helen Kissack of Derby Haven. Buried in REICHSWALD FOREST WAR CEMETERY. Reference : Coll. grave 9. A. 3-6. Son of Charles William and Annie A. Kitney, of Sittingbourne, Kent. SEE CREWS AND LOSSES for Wellington Mark I C R1604 BU-? Son of Jack and Lily Klusky, of Neasden, Middlesex. Buried in LA BUSSIERE-SUR-OUCHE COMMUNAL CEMETERY. Reference : Coll. grave 3-4. Son of Joseph and Violet Knight, of Birmingham. Source : CWGC, Nightjar Newsletter Summer / Autumn 2003 and J. Michael Townsend, Chairman of the RAFA French Riviera Branch. Son of Leslie Duke Knocker, and of The Baroness de Serclaes, M.M., of Ashtead, Surrey; husband of Susan Knocker. Kenneth Duke Knocker was born in 1907. His mother was Mrs. Elizabeth ('Elsie') Knocker who married his father in 1906 but was widowed shortly after Kenneth was born. In 1916 she married Belgian pilot Baron Harold de T'Serclaes, thus becoming Baroness Elizabeth de T'Serclaes. During World War One, she was a nurse and won the Military Medal when she and her friend Mairi Chisholm (also MM) negotiated a cease fire so wounded could be evacuated. She divorced from her husband in 1919. In 1939 she joined the Women's Auxiliary Air Force (WAAF) and rose to senior officer rank. She died in 1974. Kenneth Knocker joined the Air Force in 1924 and was stationed in India in the early 1930's. He was considered to be a brilliant pilot. A major earthquake shook Bihar on January 15, 1934 with an intensity of 8.25 on the Richter scale with its epicenter on the Indo-Nepal border, creating mass destruction in cities like Dharbanga, Motihari, Patna and Kathmandu. On January 30, 1934, Flt/Lt Knocker flew an emergency flight between Dum Dum and Dharbanga. He was promoted to Squadron Leader on 1 September 1940. In April 1942 he assumed command of 214 Squadron. In July 1942, Wg/Cdr Knocker was also station commander of Stradishall. Kate Brettell is the niece of Flt/Lt RWA Turtle DFC. He flew with Wg/Cdr Knocker at 149 squadron and later at 214 squadron. 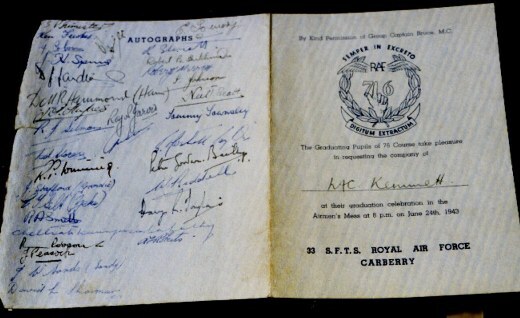 She writes:" I became interested in Sqn/Ldr Knocker because he signed the recommendaton for my uncle's decoration. 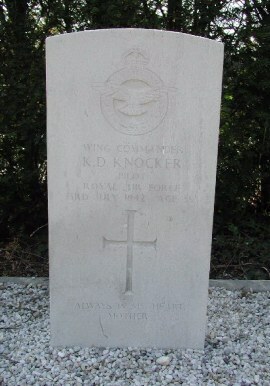 Prior to joining 214 Squadron, Knocker served with 149 Squadron from January 1942, posted there from 419 Squadron. I think they were converting to Stirlings and received training on a front line squadron. He flew as second pilot with my uncle on two occasions in March 1942. In May 1942 , 214 Squadron indeed converted to Stirlings and needed experienced crews. 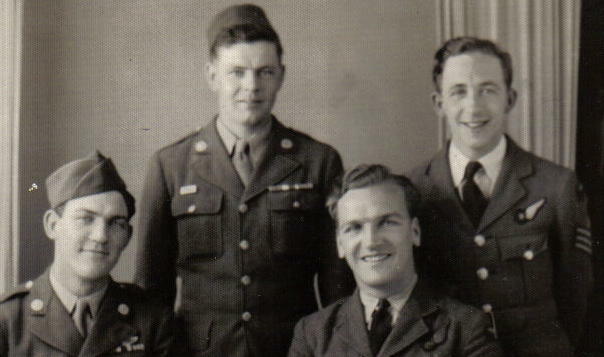 Many airmen transferred in from other units and Knocker, as well as others like my uncle transferred from 149 Squadron." 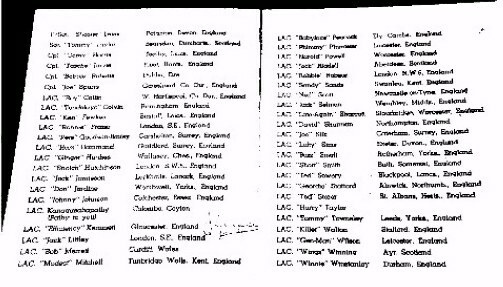 Kenneth Knocker is mentioned in the book "Spitfire: A Test Pilot's Story"
Royal Naval Air Service during the war. 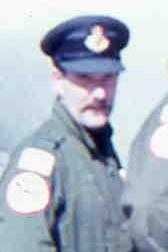 My instructor was Flying Officer Kenneth Knocker. Any subsequent success that I achieved as a pilot, and indeed my very survival, I attribute primarily to the quality of the teaching and encouragement I received from these two men and the solid horse-sense about flying aeroplanes which they imparted. " "Not long afterwards there was another plane incident. I saw the machine spiral down near the German trenches, telephoned 52 Squadron, and told them that I was going out to collect the pilot. When I got to him he had somehow got out and crawled into a clump of reeds near by. While the stretcher-bearers went on I was confronted with the German commanding officers. Since I speak German well, I was able to explain matters satisfactorily; a new lot of troops had taken over, and though the form had been explained to them, they must have been a bit startled to see our party so near their lines. When we arrived back at Pervyse I noticed that our trenches were simply stiff with top people. The Earl of Athlone was there, and General Rawlinson, and several others. I was quite out of breath, very muddy, and rather bewildered. But the first thing was to get the pilot back to our quarters and give him a rest and a hot drink. I lent him a pair of my breeches, since his own were so torn and covered in oil. This exploit earned me and Mairi the immediate award of the Military Medal, and with it the Order of St John of Jerusalem, though, in fact, it was not nearly as difficult and dangerous as some of the other sorties we had made." Kenneth's mother mother, Elsie Barroness de T' Serclaes. wrote a book, "Flanders and Other Fields", in which she writes about the last time she saw Kenneth: " After Kenneth was appointed Commanding Officer at Stradishall, I went over to Mildenhall to have lunch with him, and he told me that he had permission from the Group Captain to fly me back to York. He would have to get off at Stradishall to take up his command, but his co-pilot would take me on. He pointed to an enormous steel filing- cabinet in his office, and said he would be taking it with him. It looked so bulky that it seemed to me almost a foolhardy thing to do ,yet when I climbed into the body of the plane (a Stirling) the cabinet was completely dwarfed and looked no bigger than a stool. At Stradishall I embraced my son and kissed him (I think I must have been the only mother to kiss her son good-bye in his war-plane), and off he strode across the tarmac with two men behind him carrying the filing cabinet. We took off again immediately, and struck heavy rain and thick swirling mist over the Wash. I began to think of all the natural hazards. let alone the man-made ones, aircrews had to face. I dreaded the risks my son had to take, although I knew he was a veteran of many operations. I had such a clear vision, sitting there by the co-pilot, of Kenneth looping and swooping over the garden of my cottage in that funny little plane, and flying upside down over the village. It had all been so playful, but there was nothing playful about this lumbering machine, just built to deliver the maximum amount of death and destruction. I could have wept.